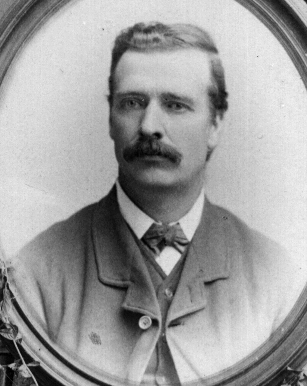 Richard Sedgwick was the first member of the Sedgwick family to join The Church of Jesus Christ of Latter-day Saints. He was also the first in his family line to emigrate from England to the United States of America. Richard, the son of George and Rachel Carter Sidgwick, was born May 12, 1849, in Barnsley, Yorkshire, England. Richard's older brothers were named John, William, and James. Richard may have had had four younger siblings who died in infancy. As teenagers, Richard and his best friend, Robert Aveson, were baptized into The Church of Jesus Christ of Latter-day Saints. Their baptisms were performed in the River Tees, near Middlesbrough, Yorkshire, England. Richard and Robert later absconded from their apprenticeships in an attempt to emigrate to Utah, but were captured and brought back home. Both Richard and Robert, though inseparable in their early adventures, eventually arrived in Utah independently. The story of their conversion and emigration to the United States, entitled "Leaving Home," was written by Robert Aveson. Richard stayed in New York for a few years because he did not have sufficient funds to travel the rest of the way to Utah. While in New York, Richard married Mary Emma Hall on July 2, 1868, in Brooklyn. Later, Richard and his family moved west by train to live with the Saints, and settled in Bountiful, Utah. After the Sedgwicks arrived in Utah, the family continued to grow. Richard and Mary Emma now have hundreds of descendants living throughout the United States and in other countries of the world. This web site is dedicated to the ancestors and descendants of Richard and Mary Emma Hall Sedgwick. Sedgwick Descendants (Information about Sedgwick Family Members): A list of known descendants of George & Rachel Carter Sidgwick (Richard Sedgwick's parents), with links to pages containing information about varies members of the Sedgwick family. This is a good place to look for links to photographs of family members and source documents, such as census records and marriage, birth, and death certificates. Since most of the information on this page comes from a variety of sources, not all of it has been documented yet. So, please be aware that there may be errors. Because the family continues to grow, this part of the site will be continuously under construction. If you would like to contribute some information or make corrections, please contact us at the e-mail address listed above. Richard Sedgwick: A very brief summary of the life of Richard Sedgwick. (We hope to have a longer and more detailed document soon, along with more pictures.) This page contains links to additional pages and information about Richard Sedgwick, including census records and Richard's application for United States citizenship. For more information about Richard's life as a teenager, his conversion to The Church of Jesus Christ of Latter-day Saints, and his journey from England to the United States of America, see Leaving Home (listed below). Leaving Home by Robert Aveson: The story, told by Robert Aveson, of how he and Richard Sedgwick joined The Church of Jesus Christ of Latter-day Saints and emigrated from England to the United States of America. Pedigree and Group Sheets: Links to genealogical information at FamilySearch.org for the ancestors and descendants of Richard Sedgwick. The Daniel and Mary Barlow Hall Family: Daniel and Mary Barlow Hall are the parents of Richard's wife, Mary Emma Hall Sedgwick. We are searching for photographs and information related to the Hall family. If you have any photographs or information that you would like to share, please contact us at the e-mail address listed above. GEDCOM: A GEDCOM file (from FamilySearch) containing information on the family of Richard Sedgwick. This information is not entirely complete, and has not been modified or verified, but will give you a good foundation from which you can begin your Richard Sedgwick family research. A genealogy program, such as Personal Ancestral File® (PAF) is required to view this information. PAF version 5.2 is now available for free download from FamilySearch®. In order to download this program, go to the FamilySearch® web site and select "Order/Download Products." Sedgwick Cabin: A brief history about the cabin owned by Daniel Hall, Richard Sedgwick, Richard Hall Sedgwick, George Wilford Sedgwick, and others. The cabin now stands in the City Park in Bountiful, Utah, USA. Several of Richard Sedgwick's grandsons and one granddaughter were born in this cabin. Sedgwick.org: A genealogical site dedicated to the Sedgwick family, with special attention given to the ancestors and descendants of General Robert Sedgwick, who came to America in the 1600's. The site's author, Dennis Sedgwick, has also included a page on his site for Richard Sedgwick, with links to Richard's 1870, 1880, 1900, 1910, and 1920 census information. Maureen Bryson's Web Site: Maureen is the wife of Layne Bryson, who is a descendant of James and Rosie May Sedgwick Bryson. Rosie is the oldest daughter and second child of Richard & Mary Emma Hall Sedgwick. Maureen's site is very well done. It contains a tremendous about of family history information, along with fabulous photographs. Maureen can be contacted via e-mail by clicking here. Leroy & Mary Lou Sedgwick's family site: Leroy is a descendant of George W. Sedgwick, son of Richard Sedgwick. Dave & Jessica Sedgwick's Site: Dave is a descendant of Joel G. Sedgwick, son of Richard Hall Sedgwick, son of Richard Sedgwick. Sedgwick Family Genealogy Forum : A wonderful place to share information with other Sedgwicks from around the world. Sidgwick Family Genealogy Forum : This site is like the Sedgwick Genforum linked above, but specifically for the name spelled with an "i" instead of an "e."
Genealogical Gleanings in England: A passage from a book mentioning some possible histories of the Sedgwick name, as well as some of the early Sedgwick immigrants to America, including General Robert Sedgwick.